Avid SOTD readers have heard plenty of my crafty best friend Allie. 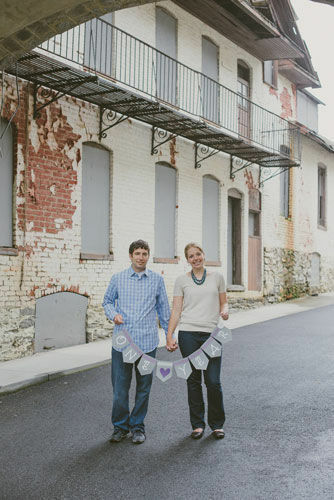 Quick highlights: last May I was her maid of honor in her Grey and Purple themed Virginia based wedding, then she was the matron of honor at my September wedding, and most recently, she used her crafty talents again when helping to throw me a colorful baby shower! 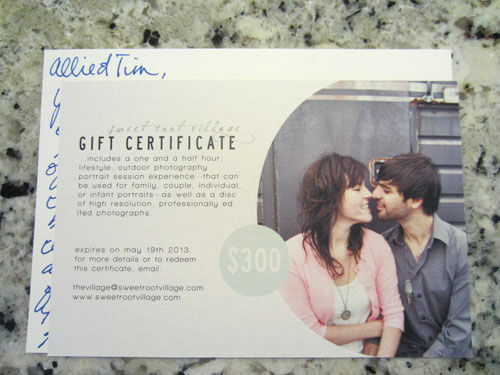 Readers may also remember from her Unique and Thoughtful Gifts post, that Allie and Tim received a gift certificate for a photo session with Sweet Root Village from their friends Genny and Drew. 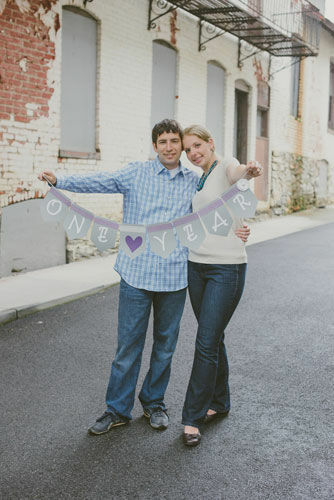 They captured a bunch of beautiful photos including this one, holding a handmade “One Year” Anniversary Garland. Today, Allie’s back to give a little more information on that handmade garland! The garland itself is hung using regular bakers twine. 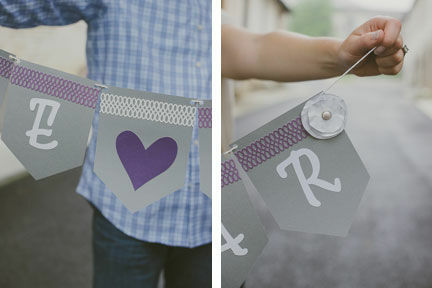 Tip: I used a hole punch for the corners and strung the twine so it would be behind the majority of each banner piece. Handmade Gifts: Feature #13 | Baby Gifts That’s A Lot Of Horsepower!